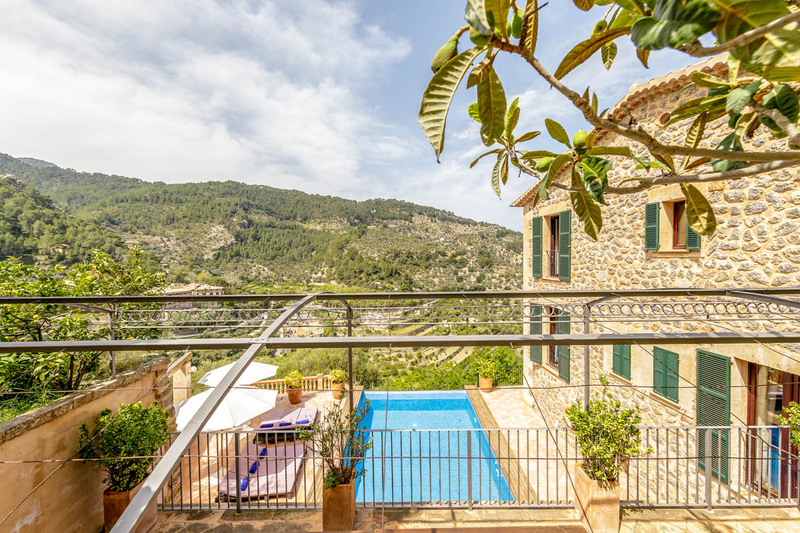 Ideally situated within the dramatic, climbing scenery of the Serra de Tramuntana, Villa Rafa is where you can escape to the country and still walk to the delightful village of Deia. 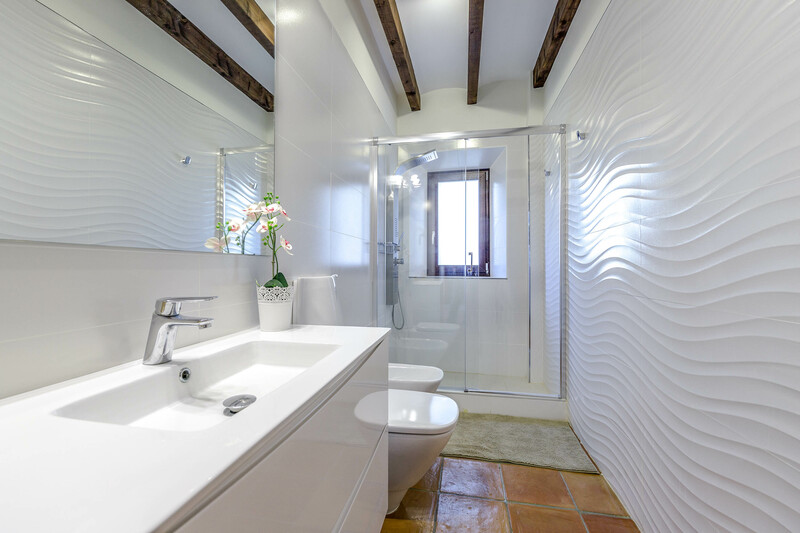 Sleeping up to eight guests, this old country house with stone walls and terracotta tiled floor unashamedly feature the very best modern facilities and furnishings. 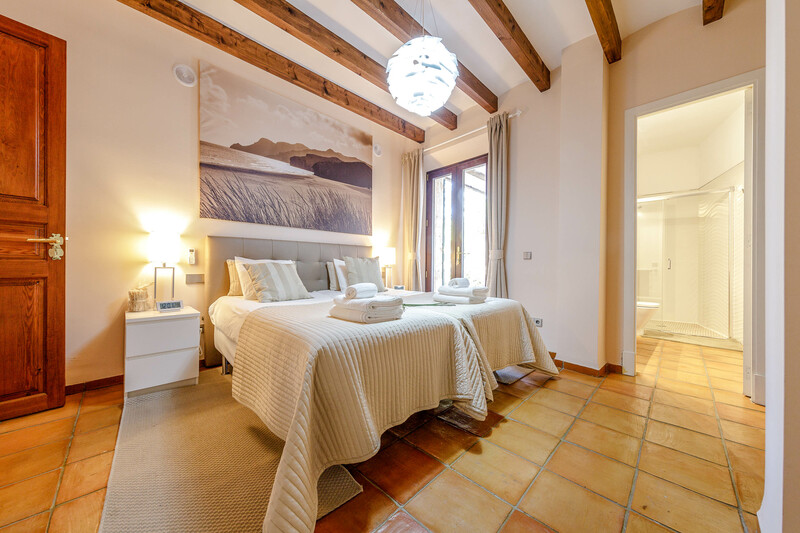 You can expect an ideal blend of old and new here at Villa Rafa. The exposed ceiling beams and shuttered windows ooze rural charm, while wifi and air conditioning ensure you stay in touch and stay cool. 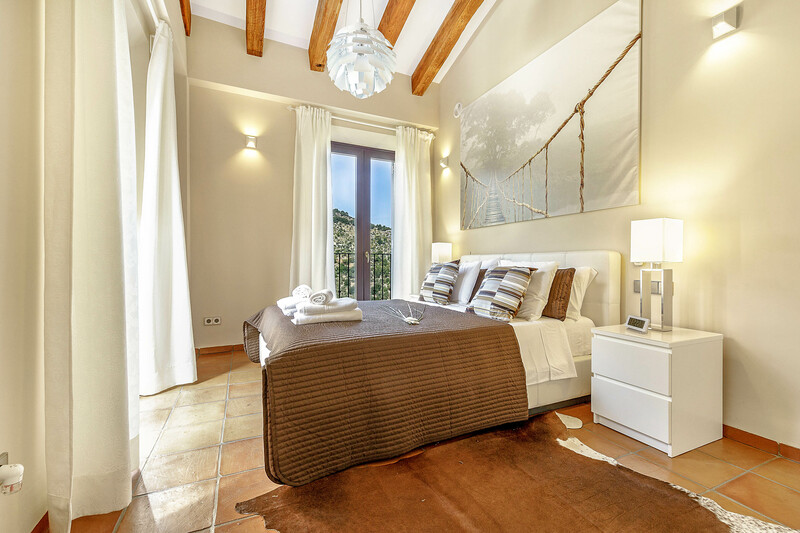 Your four double bedroom suites include rustic features, contemporary bathrooms and exhilarating views across the valley to the village and olive groves beyond. Fling open the Juliet balcony doors and start the day admiring your exclusive and quite splendid view. 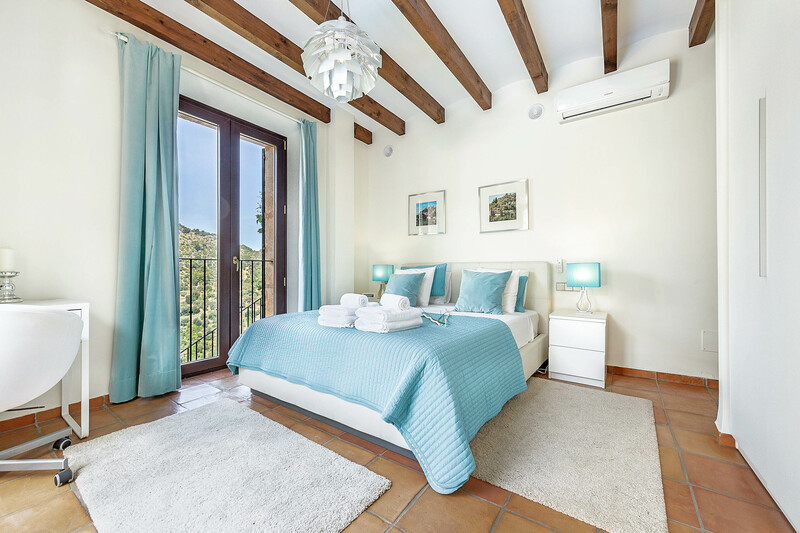 Villa Rafa’s living quarters comprise a light and airy lounge and dining room, from where you can move outside to the vine-covered balcony, running alongside the house. 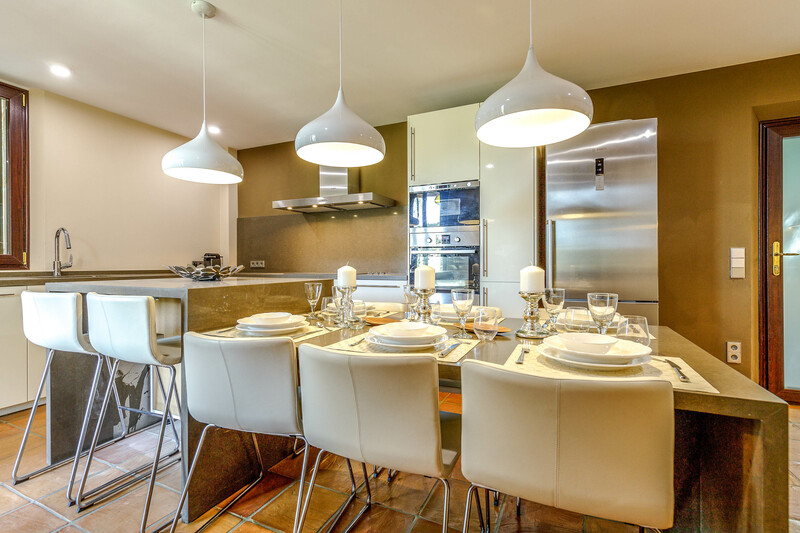 Your ultramodern kitchen is fitted with quality appliances and provides a contemporary space to perch on bar stools, share breakfast and plan the day ahead. 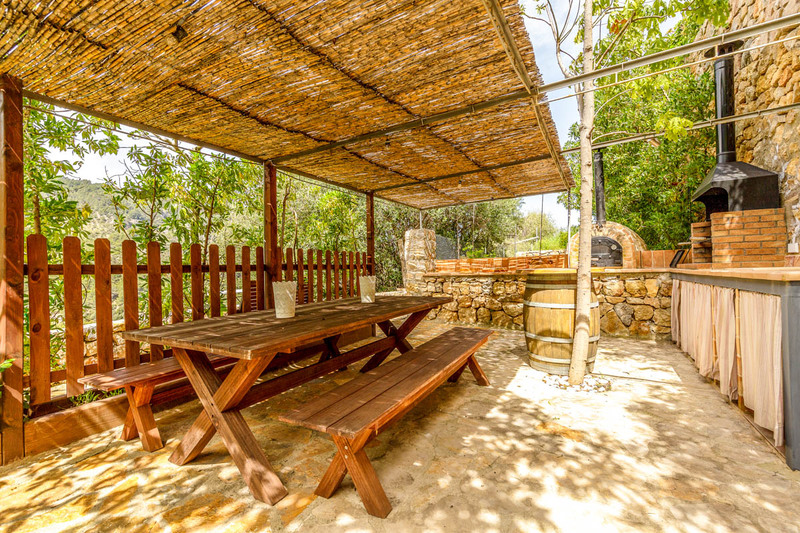 Tucked away at the side of Villa Rafa, you’ll be charmed to discover your outdoor dining area. 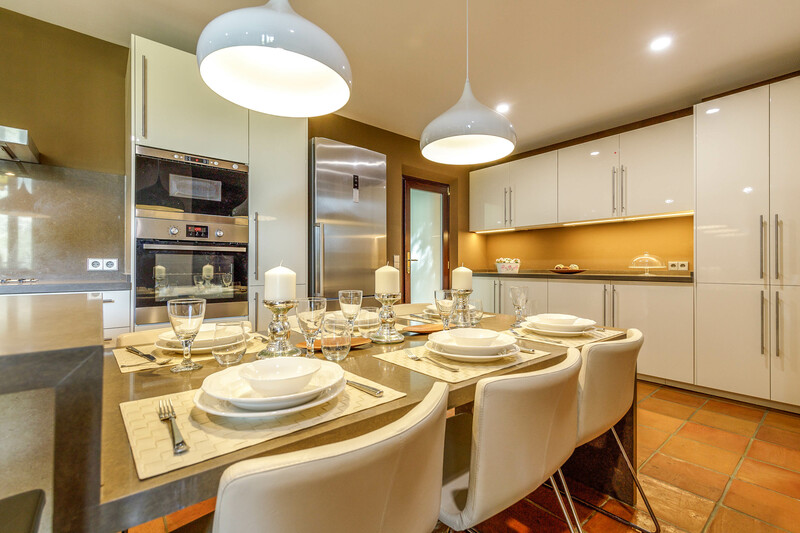 Covered, cosy and intimate, this is where family and friends will come together to enjoy pizza or grilled fish and meat, freshly cooked on the built-in barbecue or in the wood-fired oven. How wonderful! Your infinity pool is a magical spot. 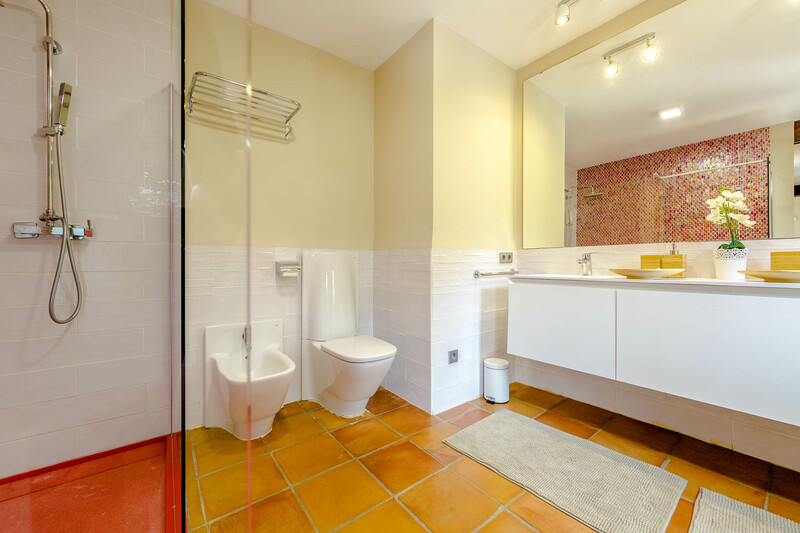 Take the corner steps down to the cooling water and swim the length of your private pool, all the way to the infinity edge. 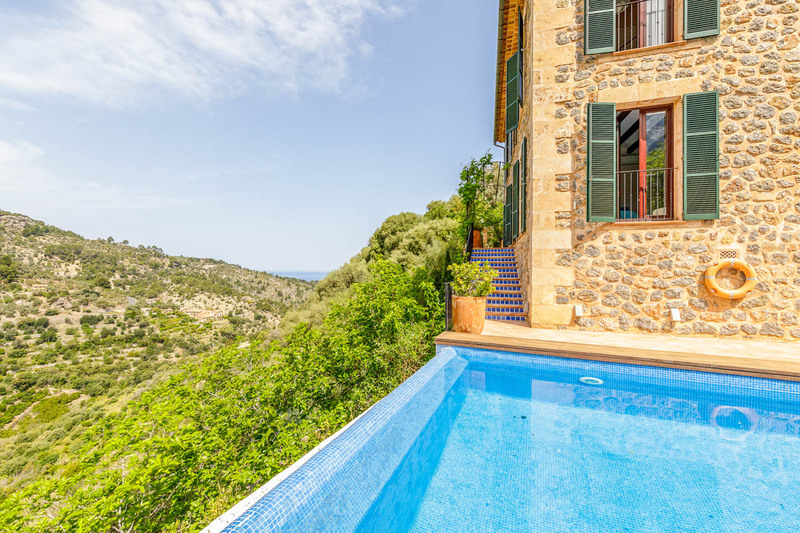 Admittedly, this is the best vantage point for admiring Villa Rafa’s spellbinding view? The valley rolls away beneath you, across the houses and village life at Deia and up the other side, past olive groves and lemon trees. It’s dramatic, mesmerising and yours to gaze upon, all day long. When it’s time to dry off, pick a sun lounger and relax. 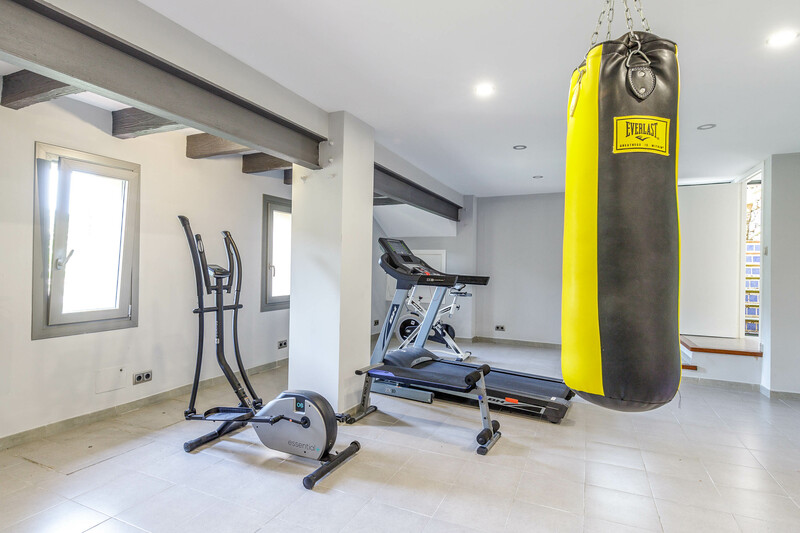 Despite Villa Rafa and her peaceful surroundings creating a sense of being removed from everyone and everything, you can walk to the village and a choice of excellent restaurants in about five minutes. You can even walk to the gorgeous little cove and crystal-clear sea at Cala Deia in twenty minutes, or it’s just a few minutes by car. 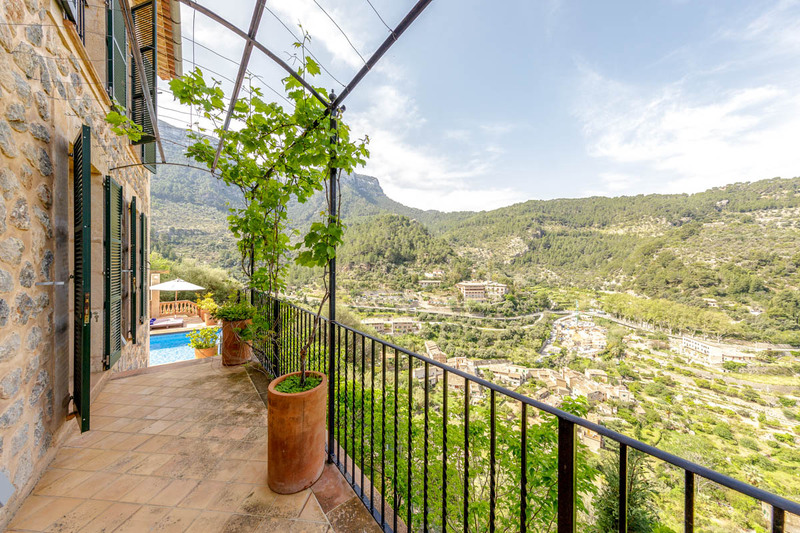 Villa Rafa lies about thirteen kilometres along the coast from Puerto de Soller and thirty kilometres to Palma. 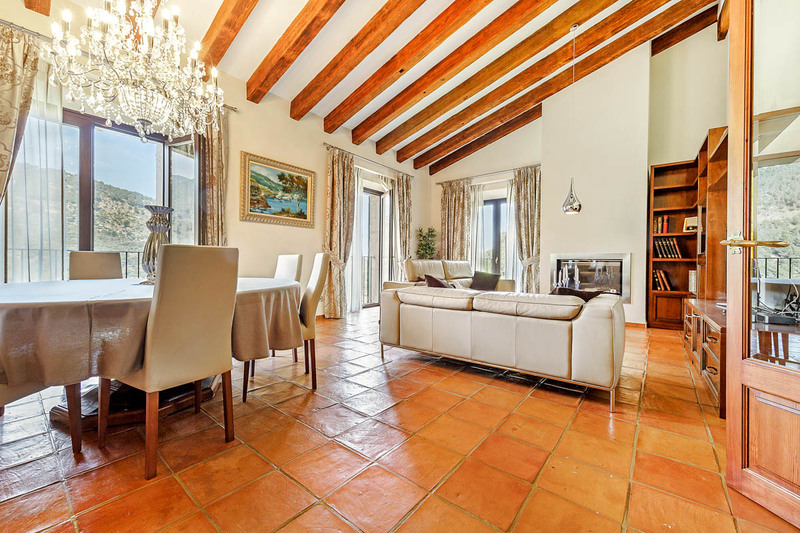 Despite its rural setting, your villa is within walking distance of the small village of Deia. 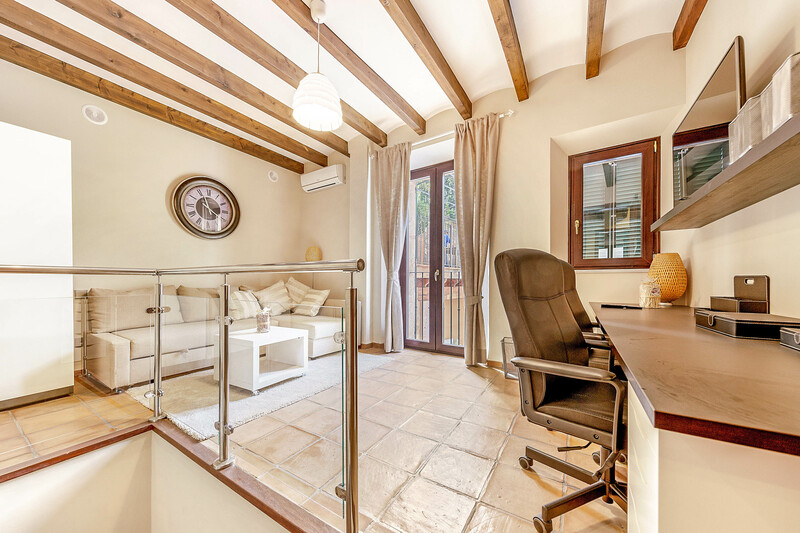 This beautiful place is highly sought-after by wealthy visitors to the island, for hiding away during the summer months in their fabulous holiday homes. 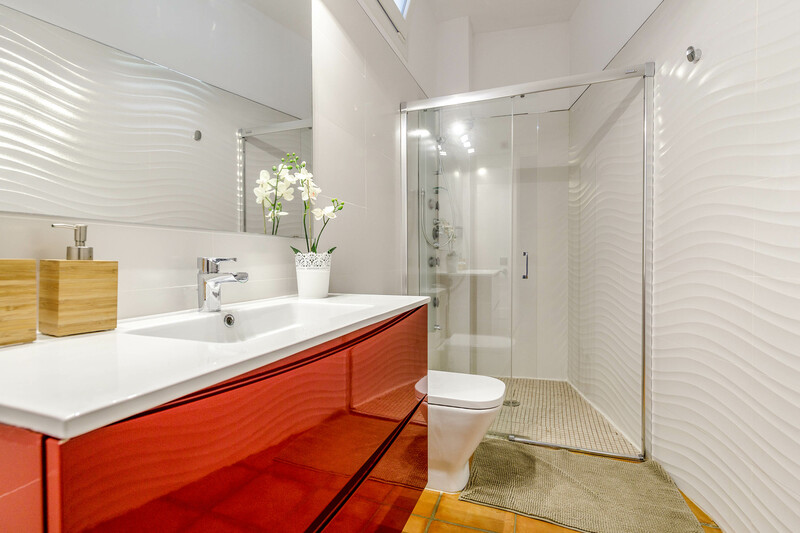 The residents are also affluent, and this particular population has given rise to an incredible number of first-class eateries. For superb seafood, aim for Cala Deia, where Ca’s Patro March is famous for seafood, sea views and sunsets. Or, Can Lluc which is delightfully rustic, serving traditional fish and seafood dishes. In the village centre, try El Barrigon Xelini and Sa Vinya for tapas and paella. 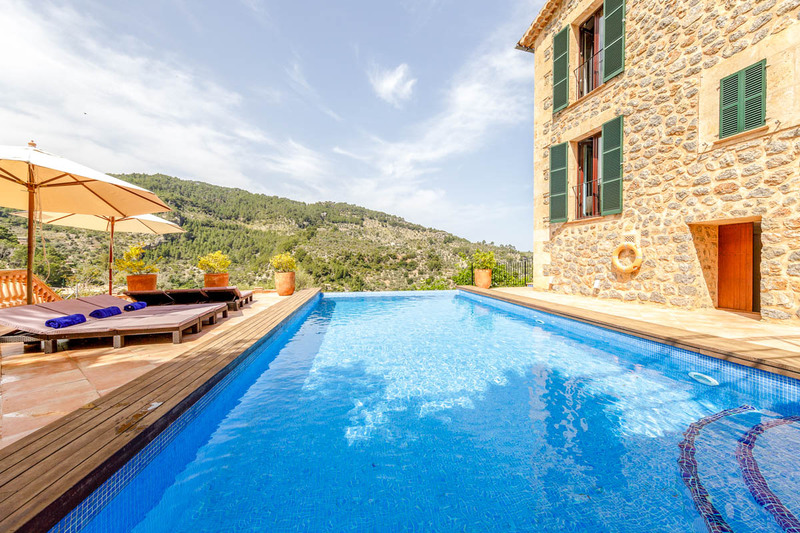 For family days at the beach, the only sandy stretch on the western coast of Mallorca is at Puerto de Soller. It’s within easy reach of Villa Rafa for shorter visits, but you can happily pass a full day here. Watersports and boat excursions are available to book from the marina and umbrellas and loungers can be hired on the beach. The seafront is ideal for promenading, pre or post-siesta, with cafes, bars and restaurants lining the route. If you want to rest your legs, take the old fashioned Soller tram as it trundles alongside, every hour. Closer to home, you can walk to Cala Deia in about twenty minutes from Villa Rafa. This delightful cove has a pebbly beach but offers ideal conditions for discovering what lies beneath the Balearic Sea. Take your mask and snorkel and explore the rocky sea floor, with perfect visibility thanks to the shallow, crystal clear water. 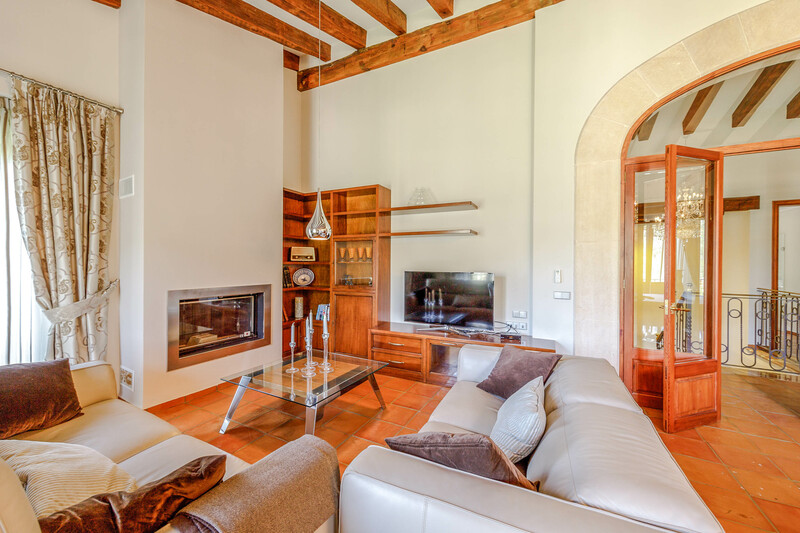 After another perfect day, wend your way back up to your charming country villa and celebrate the day with a glass of wine and locally grown olives. Bliss.